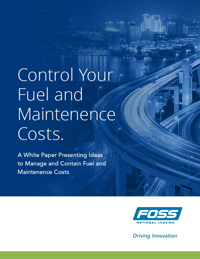 Keeping a close eye on fuel and maintenance costs is essential for well-run fleet. This paper shows how you can track every aspect of your fleet—while saving time and focusing on running your business, not your fleet of vehicles. Choose the One-Card package that suits your company’s needs for convenience, control and cost management. The CorpRate card allows drivers to purchase fuel and services from our extensive nationwide network of vendors. When maintenance or repairs are required, the decision remains with the driver. The Fleet Direct option eliminates ”surprise” bills by putting a limit to driver-approved vehicle maintenance. Any costs over that limit are directed to your company for the final authorization. The result is that you maintain driver convenience, while maintaining your own expense controls. All the features of the CorpRate Fleet Express card plus: you save administrative time on repair authorizations, by passing authorization to our experienced Vehicle Maintenance Technicians. Our technicians will review each vehicle's maintenance history and then follow your established guidelines for approvals—including a check for applicable warranties and guarantees. Your standards will be followed, your budgets adhered to, and your drivers will be back on the road quickly, in road-safe vehicles. Because identity fraud and card theft is an increasing risk, our systems employ CardArmour technology to virtually eliminate fraud and misuse associated with fleet related payments.